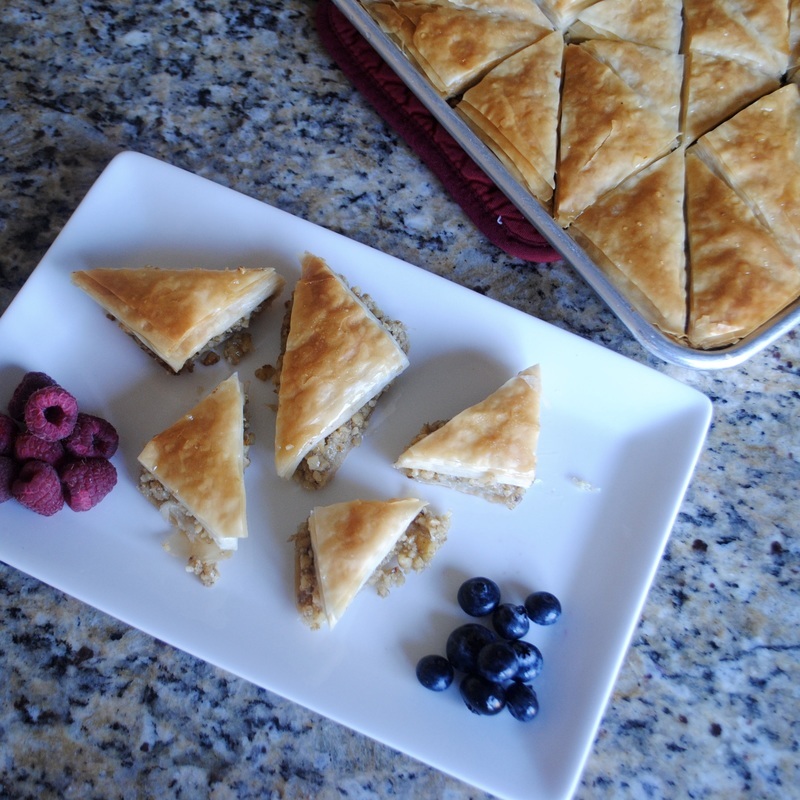 It’s time to make your friends and family (& your sweet tooth) very happy with some delicious homemade baklava! Preparing baklava is very time-consuming and requires a little bit of patience (you will be working with many filo dough layers). We always bake baklava on the weekend because it does take over an hour to prepare and bake. Baklava has a very rich and sweet taste, and of course is high in sugar and crisco, but there is absolutely nothing wrong with indulging in this lezat treat on special occasions. Of course you can buy pre-made baklava but I know from experience that homemade baklava tastes so much better! 1. Melt crisco in a pot on the stove on medium heat. You can also melt it in the microwave with a measuring cup (your preference). 2. Put your walnuts in a food processor and grind until fine and add to a separate bowl (also your preference, you can have it so fine that it’s like dust, or you can have it crunchier). – You will use one package of filo for your bottom layer and the other package for the top. 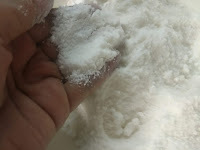 – Don’t worry about a piece of the filo dough being wrinkled or broken, patch it up with a brush of crisco and keep going, it is a forgiving dough & in the end you will not see the errors. 8. Add a sheet of filo dough over mixture. 9. Continue adding your filo dough and brushing the top of each sheet. *When brushing on crisco, try not to brush over the edge of your baking sheet as this could start a fire in your oven. ​- Using a ruler mark a halfway spot in your pan horizontally and then halfway vertically. The point is to make even size squares so that the squares can then be cut in half (see below). 11. Place on bottom rack for 35 minutes and 5 minutes on the top rack.